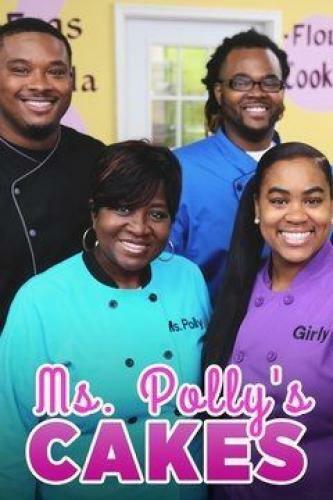 When will be Ms. Polly's Cakes next episode air date? Is Ms. Polly's Cakes renewed or cancelled? Where to countdown Ms. Polly's Cakes air dates? Is Ms. Polly's Cakes worth watching? Ms. Polly is the resident cake master of Savannah and its unofficial mayor! She's been baking for more than 18 years, and her patrons travel far and wide for her custom cakes. Helping her run the bakery's two locations are her four kids, who she calls "the Giants." Together, they create amazing cakes and keep Savannah's sweet tooth satisfied! Ms. Polly's Cakes next episode air date provides TVMaze for you. EpisoDate.com is your TV show guide to Countdown Ms. Polly's Cakes Episode Air Dates and to stay in touch with Ms. Polly's Cakes next episode Air Date and your others favorite TV Shows. Add the shows you like to a "Watchlist" and let the site take it from there.